Fractal patterns are self-similar across many different scales, such that if you zoomed in on part of a fractal image, that smaller piece would look like the larger one. Such patterns are useful mathematical tools for describing certain complex structures, like how blood vessels branch out, networks of brain cells, and rivers and coastlines. They’re also useful for analyzing city streets. 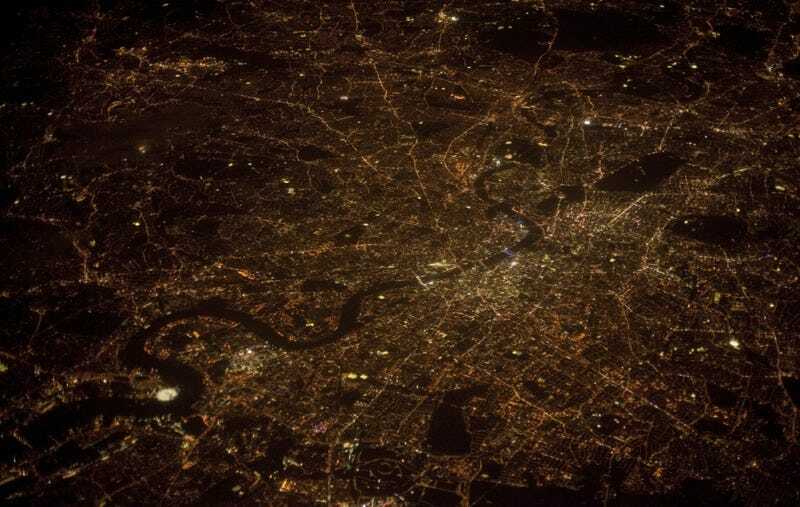 In a recent paper in Physical Review E, Robert Murcio and several colleagues at University College London described how they statistically analyzed nine digitized maps of London from 1786 to 2010, focusing on the number of street intersections. They found in 1786, most intersections were located in Central London. By 2010, anywhere you look in the entire city has roughly the same number of intersections. “Ideally, cities would grow to a point where, as there’s no more space for organization, people would decide to settle elsewhere,” said Murcio of the rationale behind the strategy. “In reality, London attracts so many people that every single space is filled.” Local authorities responded by providing more transportation services, adding more streets and hence more intersections. The UCL team chose to study London’s street network in part because it is their home turf, but also because they had access to a rare digitized historical data set. “One of the major impediments in social sciences is the lack of historical data,” Murcio said. “Beyond 1900, it is really rare to find any reliable information, or the amount of work [required] to digitize maps is just too much.” In fact, it took a team of scientists five years to reconstruct by hand the maps used in the UCL study.